Whether you were able to join us for the Gilbane Conference 2015 or not, the conference presentations are available. There are also videos of the keynote presentations and a couple of interactive panels. Below is a list of the videos with direct links to individual presentations and panels. Also, below are links to some blog posts and speaker spotlights. Kianosh Pourian, President/Founder, Cielo Concepts Inc. Discussion Point: What’s on Your 2016 Digital Radar? WCM alternatives: build, buy, customize – what would you do? Gilbane Conference 2015 speaker spotlights are on the main conference site here. Speaker spotlights for the 2014 and 2013 conferences are here. 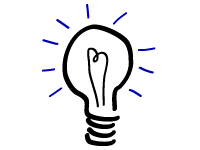 November 16, 2015 / Frank Gilbane / Comments Off on Is your personalization strategy up-to-date? Digital teams are often frustrated with the difficulty of getting their personalization practice beyond adding a few targeted components in their digital ecosystem. This is partially because it seems that inroads to the more advanced aspects of the personalization practice have been closely held secrets. Many organizations have had to reinvent the wheel, for lack of access to best practices. In this panel presentation, we will address that gap directly, with three personalization experts discussing what they consider to be the most hard-won aspects of their practice. For digital teams trying to enhance their game, this session will give unusual visibility into the challenges — and successes — of running more serious personalization programs within their organizations. Attendees of this session will receive an overview of topics for the “advanced course” in personalization and to get inspiration to move personalization activities forward. In the battle for attention and engagement marketers need all the help they can get. Personalization is where the biggest hope lies but getting it to work is problematic, mainly because of the difficulty piecing together and making sense of the various customer data sources. This can be especially off-putting with real-time programmatic ads. Understanding a customer’s state of mind and emotions in real-time can help avoid or recover from a negative experience. There is already commercial technology that provides emotional state information using facial recognition software (Affectiva, for example), and marketers are already using it in campaigns. Our brains are also changing to better adapt to the over-stimulating digital world we live in. Will our brains learn to fight back? Send fake emotional signals to discourage ads? Brain science is progressing rapidly and for better or worse, marketers should understand what’s possible, what might be soon, and what your peers are already doing. This session will get you started, and should be fun. Tuesday, December, 1: 9:00 a.m. – 12:00 p.m. Thanks to all the Gilbane Conference sponsors and exhibitors this year! Brightspot is an enterprise user experience platform that powers large-scale, highly dynamic and editorially rich consumer experiences. Brightspot delights editors with a consistent, familiar and uncluttered user interface that supports their workflows. It unleashes designers, allowing them to create visually stunning experiences with complete design flexibility and zero platform constraints. And it empowers developers, by automating routine tasks and injecting industry best practices in the development workflows they already know and understand. Brightspot brings teams together from day one, resulting in high quality deployments and faster time to market. For more information, visit brightspot.com. Adobe is the global leader in digital marketing and digital media solutions. Our tools and services enable our customers to create groundbreaking digital content, deploy it across media and devices, measure and optimize it over time, and achieve greater business success. We help our customers make, manage, measure and monetize their digital content across every channel and screen. For more information, visit www.adobe.com. HP Marketing Optimization empowers organizations to understand and engage audiences, reach new customer segments, and deliver dynamic and personal experiences across every channel, including print, web, contact centers, and augmented reality. With a portfolio of industry-leading products, including HP Exstream, HP TeamSite, HP MediaBin, HP Qfiniti, and HP Aurasma, marketers can increase revenue, conversion rates, and customer loyalty using the diverse and growing volume of information that powers today’s world. For more information, visit http://hpengage.com. Enonic’s innovative platform provides a faster way to create and deliver powerful digital experiences. We solve everyday problems in all stages of the digital delivery process. Our simplified architecture reduces the number of moving parts, and enables delivery of content, services and applications from a single, scalable platform. Visit https://enonic.com. Jostle’s intranet helps leaders engage their workforce, it helps teams collaborate, and it helps organizations build and sustain vibrant cultures. Its elegance and relevance yield exceptional participation rates – exceeding five times industry standards. Jostle’s intranet is turnkey, cloud-based, and requires no IT resources to maintain. For more information contact info@jostle.me or visit us online at www.jostle.me. Also thanks to all our Gilbane conference media sponsors! Employees are customers too. You want to reach them, you want them responsive and engaged with your organization and your joint customers, and you want to keep them. Today’s employees have little patience with poor workplace digital experiences. In addition, organizations need to consider the connection between engaged employees and the ultimate customer experience. 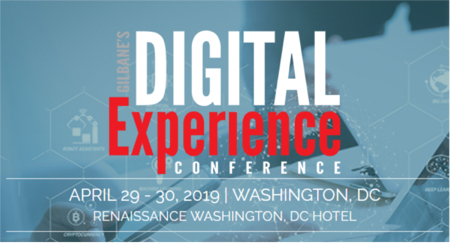 Below are a selection of four conference sessions with multiple intranet case studies at the upcoming Gilbane Conference that will be especially relevant to anyone planning for a new or more successful intranet. Intranets that work provide an invaluable resource. But too often intranet projects either never get off the ground, or struggle for months or even years before being put out of their misery. How do you know when intranets are working? There is only one metric that matters – adoption, at least voluntary, and ideally enthusiastic. Attend this session get inspired by the managers at two organizations responsible for building successful intranets tell you what they did and how. In this session our speakers take a look at some specific areas to pay careful attention to when getting ready for a new intranet project, or for updating and modernizing an existing intranet. Growth organizations – those who are growing fast, from a few dozen to a few hundred or thousands, have a unique challenge. You’re doing things right. But how can you maintain quality and momentum as you grow? How will you stay great when there are more and more newcomers? Scaling organizational greatness means scaling a strong community, a strong culture, and a strong sense of belonging. How can culture, leadership and community expand to embrace people who don’t work in the same place or have pre-existing relationships? With intranets or digital workplaces. This panel of HR and Communications leaders will talk about the challenges of scaling culture, and how a great intranet enables extended teams to remain powerful. No compromise. Building a holistic and seamless customer experience is not just a job for marketing. It is not even a job limited to customer-facing employees because they are dependent on other internal employees and systems for their effectiveness. The two case studies in this session are excellent examples of the kind of efforts needed to achieve organizational level customer experience.